Rome – The Working Group for Developing Regional Standards for Roma Responsible Budgeting, comprising of the National Roma Contacts Points (NRCP) representatives of Ministries of Finances from the economies in the enlargement region, Regional Cooperation Council (RCC)’s Roma Integration (RI2020) Action Team and independent budget experts, continued discussion on regional budgeting standards on its third meeting held in Rome today. Opening the meeting, RCC’s RI2020 Action Team Leader Orhan Usein reminded that the Roma responsible budgeting initiative aims to make Roma integration part of the policy budgeting process in economies of the enlargement region so that Roma needs are taken into account. “This approach is new in a sense that such budgeting practice for Roma has not yet been implemented, but it follows the steps of gender responsible budgeting which is well-known and widespread approach in the whole world”, said Usein. He added that introduction of Roma responsible budgeting is a way to better meet general and Roma integration goals of socio-economic policies while avoiding, to the extent possible, the duplication of policies and human and material resources. In this sense, Roma responsible budgeting does not necessarily mean increasing funding for Roma integration, but ensuring that Roma integration is better promoted through existing expenditure for mainstream policies. During the meeting the Working Group discussed the expert analysis which provided a snapshot of the budget processes in each economy and overview of its relation to Roma integration. 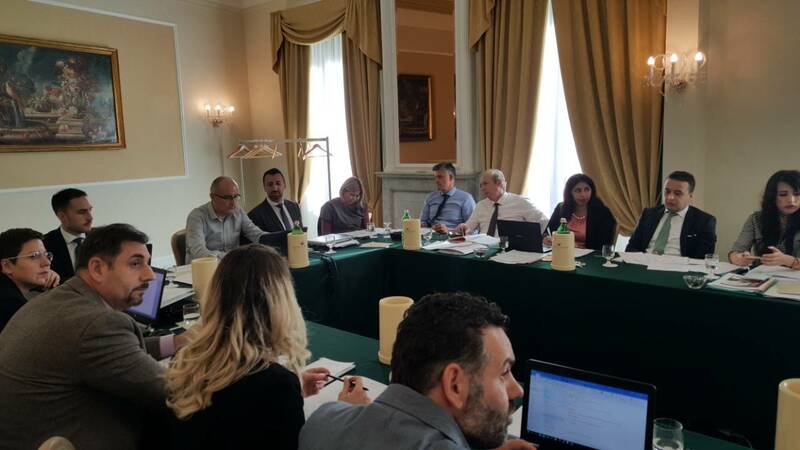 The discussion primarily focused on observed gaps, opportunities for intervention, leading to an agreement on final content of the Guidelines for Roma Responsible Budgeting and further steps on integration of Roma responsible budgeting in governments’ budgeting practices. It is expected that the Guidelines for Roma Responsible Budgeting will assist governments in incorporation and delivery of specific Roma integration goals, through establishing link between them and central budgets.